Published: Oct. 26, 2018 at 11:03 a.m. Updated: Oct. 26, 2018 at 04:12 p.m.
What: ACES Foundation, which supports youth by emphasizing Accountability, taking pride in one's Community, striving for Educational excellence and promoting a healthy mind, body and spirit through Sports. Why: Alexander had a cousin he believed was naturally more physically talented than him. Alexander is in the NFL, while his cousin ended up in a gang and then prison, all -- Alexander believes -- because he had mentors, while his cousin didn't. Tim Delaney openly admits it: He was extremely skeptical when his principal said Buffalo Bills linebacker Lorenzo Alexander wanted to visit his kids. Delaney has been the South Park High School football coach for 11 years. He's been a teacher at the Buffalo school for 17 years, he himself graduated from the school, where 95 percent of the current students qualify for free or reduced-price lunch, and he definitely had some thoughts on public figures who like photo-ops. But South Park is a community school, one with many needs, and as Delaney put it, the educators there are always willing to give it a shot when a professional from outside the district's employ wants to interact with their students. So Delaney gathered his players. Alexander came by one June day in 2017, talked to some 60-odd kids about his own inner-city, single-parent upbringing, so much like many of theirs, and Delaney thought, "OK."
Then Alexander called him. He told Delaney he wanted to host kids at training camp. Delaney brought 15 out for a full-on VIP experience. Two weeks later, Alexander took the entire team out to shop for school supplies. A month after that, he brought new sneakers to kids on the team and discussed the issues that prompted some of them to kneel during the national anthem. Three more months passed and he asked Delaney to find the five players whose families could most use help and have them compile Christmas wish lists. One mom wrote "vacuum," another "washer and dryer." Alexander bought it all, personally delivered it all and told Delaney not to talk about it. 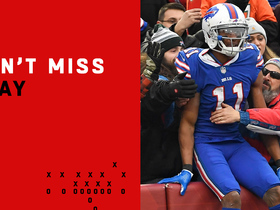 In February, Alexander took 35 players to see "Black Panther," buying their tickets and snacks; in May, he had nine South Park linebackers out to the Bills' facility for a personalized camp; in August, he again brought laptops to the school so the varsity kids could each order one new pair of sneakers. He foot the bill for football equipment and uniform items he felt the team was missing, and he set up a series of life-skills workshops for the team. Now Alexander is talking about trying to organize a trip to see the Broadway sensation "Hamilton." And 16 months ago, Delaney was a skeptic. "I have never seen someone in that position do so much," Delaney said. "If anybody wants to write us a check, we'll take it. But with Lorenzo, it's about so much more. He is so giving of his self, of his time, and it's been so impactful to our kids. They see him, they see he was once them and they see they could one day be him." Which is the single, sole reason Alexander formed a foundation just one year after making his official NFL debut. Now a 35-year-old father of four and 12th-year NFL veteran, Alexander is clear about this: Service, for him, is not dependent on anything. It's not because his career choice puts his earnings in the top one percent and it's not because that career, in the National Football League, has given him a public profile. If Alexander had taken his legal studies degree and gone on to law school, as he originally intended, his commitment to his community would be no different. "I believe serving is what I have been called to do," he said. "Having a successful NFL career doesn't dictate whether I ever help someone. I've been helped drastically. I didn't have my dad growing up. My uncle, coaches, they helped fill the gaps in my life. I've been fortunate enough to have mentors in my life and I realize that." Alexander grew up in Oakland. He and his mother lived with his maternal grandparents. His mother, Stephanie Moore, often worked two jobs and her brother, Steve, helped her set the example of what investment in one's community looks like. Steve Moore is a football coach, and though he has three daughters of his own, he had a young Lorenzo out on the field with him every day. (When Alexander is asked if his uncle had been a baseball coach, would he have instead been a baseball player, he laughs and says, "Actually, I was a pretty good baseball player.") That's part of what cemented the connection with South Park High and Delaney: Alexander says when he looks at the young coach, he thinks of his uncle. "Tim's just like him. Going above and beyond, always coming up with extras for the students out of his own pocket, coaching these young men about so much more than football," Alexander said. And that's who Alexander is, too. Football camps are easy for football players to host. He's done that, but his ACES Foundation -- so named by his uncle Steve's wife, a social worker -- is more about planting seeds in a community that, as Alexander says, can take root. "I think we're all wired to help each other, to uplift each other. I want to be a catalyst," he said. Last year, ACES launched a business incubator program for non-profits focused on social good in the Oakland area. Also in Oakland, he's taken a computer science curriculum into schools, called Oakland Engaged. In Buffalo, at South Park High, he introduced the Real Talk workshops, bringing in professionals weekly to teach kids how to interview for a job, how to balance a checkbook, and so on. Alexander graduated from Cal in 2005, and went undrafted. The Panthers signed him and he spent a year on their practice squad. The next year he went to Baltimore, was cut in less than a week and signed a practice-squad contract with Washington later that fall. 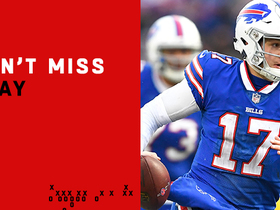 He finally made his NFL debut in 2007. That whole time, he had toggled from position to position, logging snaps at defensive tackle, offensive guard and tight end, and earning the nickname "One Man Gang." By 2010, he was officially switched to linebacker (necessitating a 70-pound weight loss) by then-Washington coach Mike Shanahan, and in just a few months, he became special teams captain. Opportunity eventually morphed Alexander into an every-down player. In 2016, his first year in Buffalo, he had a career-high 12.5 sacks, and it was last year, a few months before his 34th birthday, that he signed the richest contract of his career. Like a fine wine, he's getting better as he ages. "A lot of that is a testament to how I live my life, having things in the right priority and having a great wife who cooks for me every day at home," Alexander said, the smile obvious in his voice. 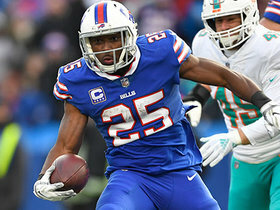 He was the Bills' nominee for the Walter Payton Man of the Year Award last season, the third such time he was chosen for the honor in his career, and the first time since he had become an every-down contributor. "The more your star grows from a football, athletic standpoint, there are more eyes on this other work," Alexander said. He is in the final year of his current contract and turns 36 next May. While he doesn't know when his NFL career will end, he knows it's near. Going to law school is no longer part of his transition plan; continuing community work definitely is. Alexander said he doesn't know the exact shape of that, but he knows it will be personal, and, as he put it, "more intimate." "I really want to be more day-to-day, meaning grass roots, boots on the ground and building real relationships. Maybe I'll open some type of gym/learning center, where I can really impact student athletes' lives, and give them true mentorship," he said. "You can't have a lasting impact on someone if you haven't built trust. You can't build trust if you're never around." And if there's one thing Tim Delaney and the South Park High football team can attest to, it's that if Alexander says he'll be around, he will be. 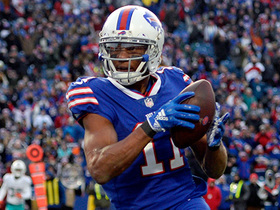 Click here for more information about Lorenzo Alexander's ACES Foundation.